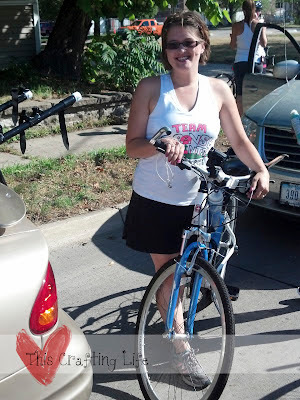 This Crafting Life: Overcoming obstacles and unleasing my inner Super Woman! 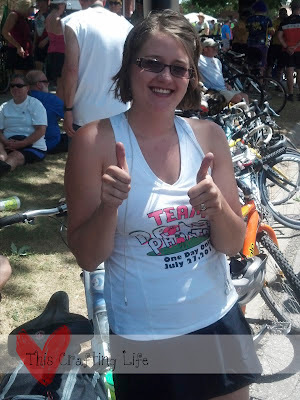 Overcoming obstacles and unleasing my inner Super Woman! Lately all I've had time for is to quick post tutorials or patterns, and haven't really had time to myself or to think about all the things I've been doing. So hello again, my friends. Let me share a recent triumph of mine with you. In the month of July I rode 359 miles. Out of those miles, 42 were done during RAGBRAI (Register's Annual Great Bicycle Ride Across Iowa) from Cedar Rapids to Anamosa. When I decided to start to get in better shape, I decided to try cycling. I snagged my ole Huffy 10 speed out of my parents storage shed and took it for a spin. It didn't take long for me to decide that this was my thing. I love it. But I digress. 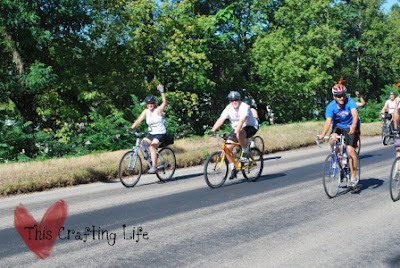 RAGBRAI was an awesome experience, and one that I am sure that I will repeat again, and again, and again. 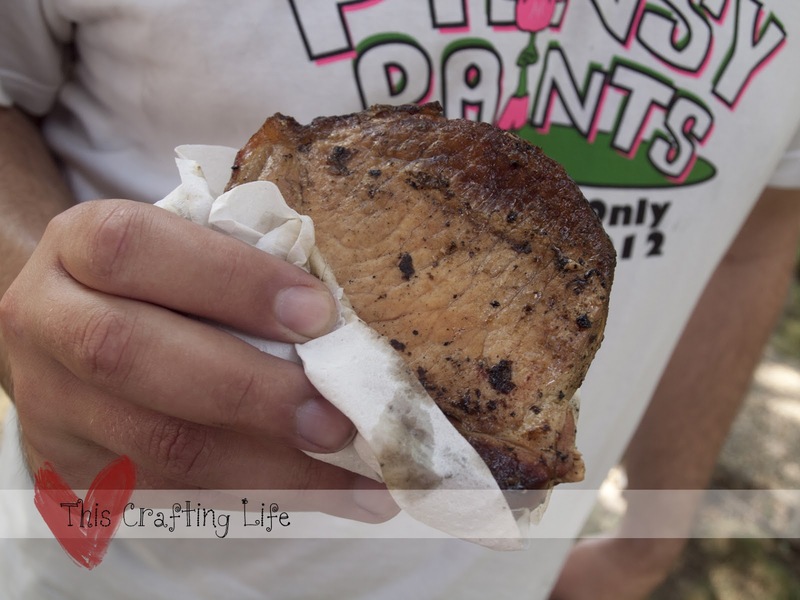 This year, we formed Team Pansy Pants, which consisted of 12 awesome people who both rode and drove, and ate and drank together. We climbed hills, we felt pain, and triumph together. and here I am ready to start! Lets get this show on the road! 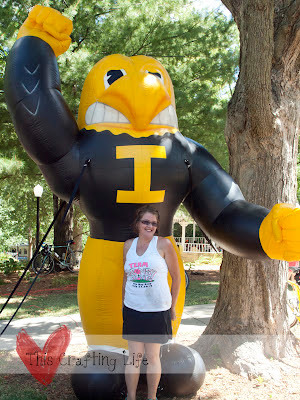 I had to pose with Herky! And yes, I know there's chain on my shirt. Halfway through and still going strong! 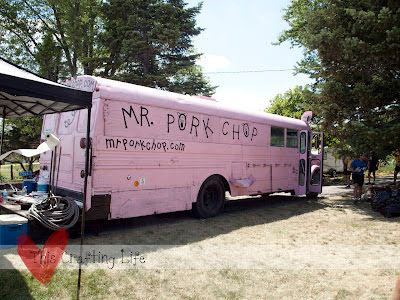 I won't talk about the food, since I know that my good friend Adam, a fellow blogger from Adam Does It and 101foods, will certainly want to take that one, but I do have to say that I had the BEST pork chop of my life at this gigantic pink bus that served them out of coolers filled with juices. I might have been starving, but i remember it as being this delicious drippy delicacy. When was the last time you did something extraordinary? Or something that made you FEEL extraordinary? I'd love to hear about it!